Get that perfect Christmas gift for the discerning coffee drinker on your list with one of Nespresso's luxurious espresso machines. With a Nespresso coffee machine, you can brew a perfect cup of espresso in the comfort of your own home. The following content is created in consultation with Nespresso. It does not reflect the work or opinions of NBC New York's editorial staff. To learn more about Nespresso, visit www.nespresso-us.com. The holiday shopping season is here; bringing countless opportunities to find gifts that everyone on your list will adore. This season, give the gift of the Ultimate Coffee Experience with Nespresso. For over 25 years, Nespresso has redefined the way millions of people enjoy their espresso coffee and has grown into one of the most recognized brands in the world. Nespresso’s success is built on the highest quality Grand Cru coffees, sourced from the top 1-2 percent of the world’s best coffee, smart and innovative machines, and personalized customer service. Nespresso’s smart, stylish and easy-to-use machines enable coffee lovers to prepare the perfect Espresso, Cappuccino or Latte with the touch of a button. The award-winning and technologically-advanced machines manage all of the elements needed to deliver the perfect coffee, cup after cup. If you are looking for a more personalized holiday shopping experience visit one of the Nespresso Boutique locations. Nespresso Boutiques and Boutique-in-Shops are a fantastic place to engage with and purchase Nespresso products. At all locations, Nespresso Boutique Specialists are available to help guide customers through the full range of Nespresso machines and assist in sampling the 21 Grand Cru coffees. At Nespresso Flagship Boutiques in New York, Boston, Miami, San Francisco and Beverly Hills, holiday shoppers can sip and savor Nespresso Grand Cru coffees as well as enjoy a menu of sweet and savory fare. 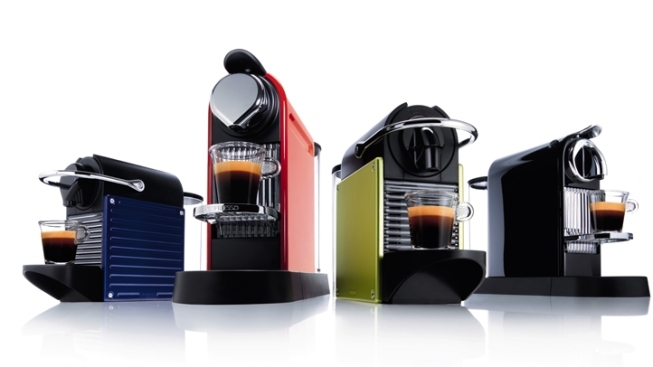 For additional information on Nespresso please visit www.nespresso-us.com or call 1-800-562-1465.